Free-lance Illustrator/Graphic Artist Michael Fisher has lived in Sonoma County for forty four years, primarily in the West County in and around the town of Monte Rio. 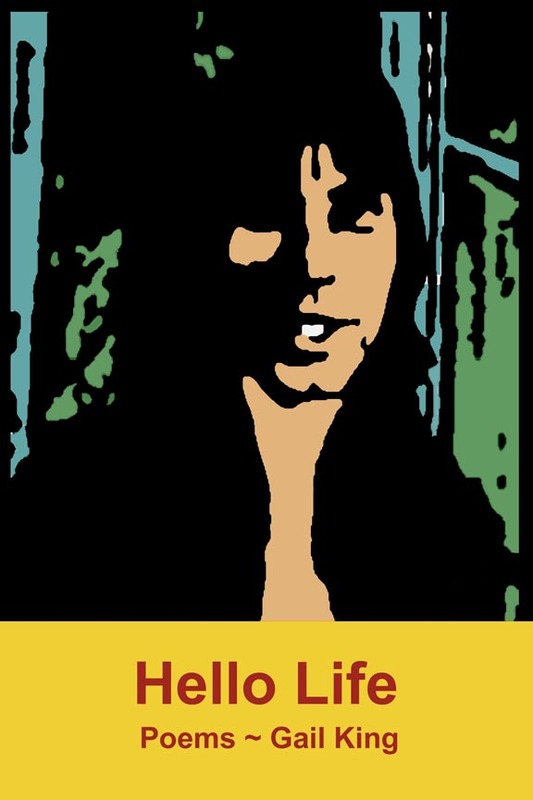 Over the years his illustrations and poster designs have been used to advertise scores of music venues, rock concerts, literary events and projects, and local businesses. 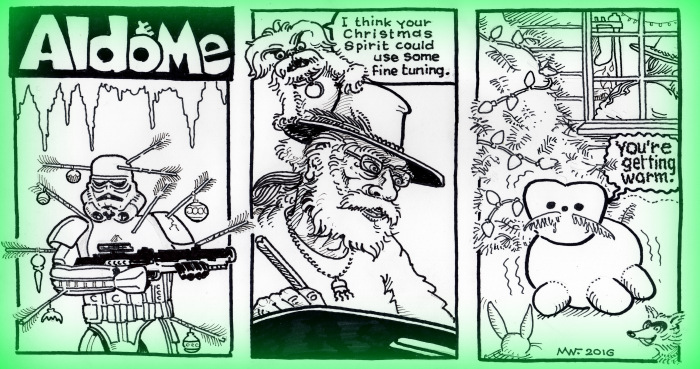 In the tradition of jack-of-all-(artistic) trades, Michael was once a popular bartender (perhaps the most popular) at the pre ’86 flood Village Inn in Monte Rio where between shaking, stirring, and pouring he managed to produce a pithy comic strip entitled Malice In Blenderland which was featured in Sonoma County’s original independent newspaper of the 70’s and 80’s, The Sonoma County Stump. Along with his free-lance gigs as an illustrator, Michael was also active in the local musical theater scene where he was the featured performer for such popular productions as Little Shop of Horrors and Dracula-la. And many will remember that he once fronted the oldies rock band, The Grey Cats, as lead singer and harmonica, and whose annual Halloween productions were delightfully beyond words. Grey Cats flyers and concert posters designed by Michael Fisher are now considered collector’s items by the hip cognoscenti. Although probably apocryphal, it is believed that one of Michael’s early inspirations was Gypsy Rose Lee’s theme song, Let Me Entertain You. His wit and spontaneity are always on display often centered on his awesome encyclopedic knowledge of arcane and weird pop trivia. His playfulness and readiness to entertain served him well in his long career in children’s services where he was also just one of the kids. 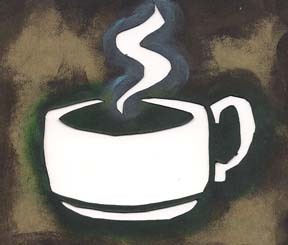 Now retired, Michael is devoting himself to his first love, drawing, with nearly daily postings to his blog, Aldo & Me. To say that Michael’s cartooning style is ‘old school’ might be an understatement. 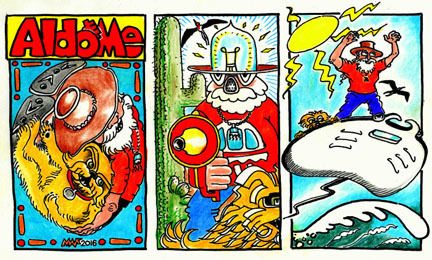 Anyone familiar with the underground comics of the 60’s counterculture will recognize the stylistic similarities. 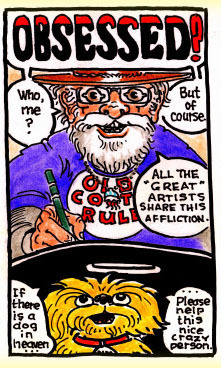 The same wacky and irreverent world views of R. Crumb, S. Clay Wilson, and Gilbert Shelton are present in Michael’s panels. However his influences in cartooning go back even further to the likes of Jimmy Hatlo, Al Capp’s L’il Abner, and Walt Kelly’s Pogo. 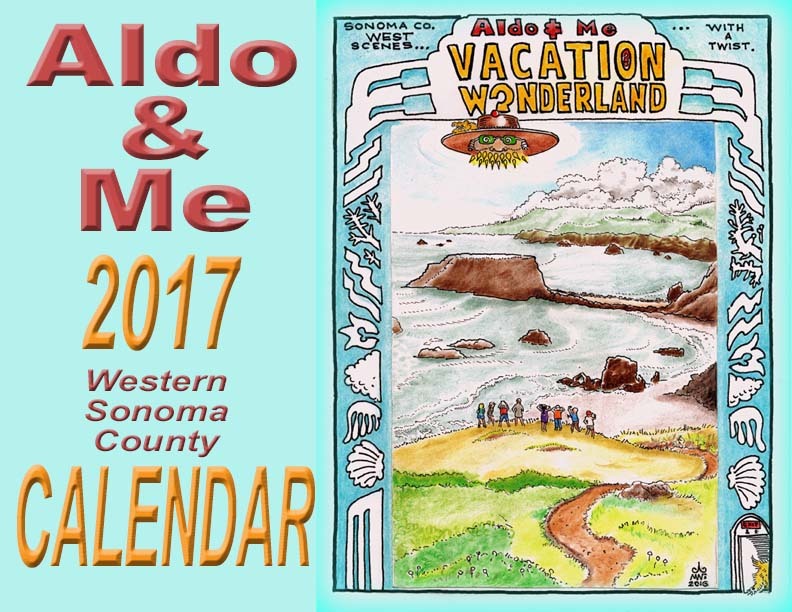 What is evident of Michael’s skills is a unique virtuosity and imagination as is amply expressed in the sold out limited edition of his 2017 Aldo & Me West Sonoma County Calendar. 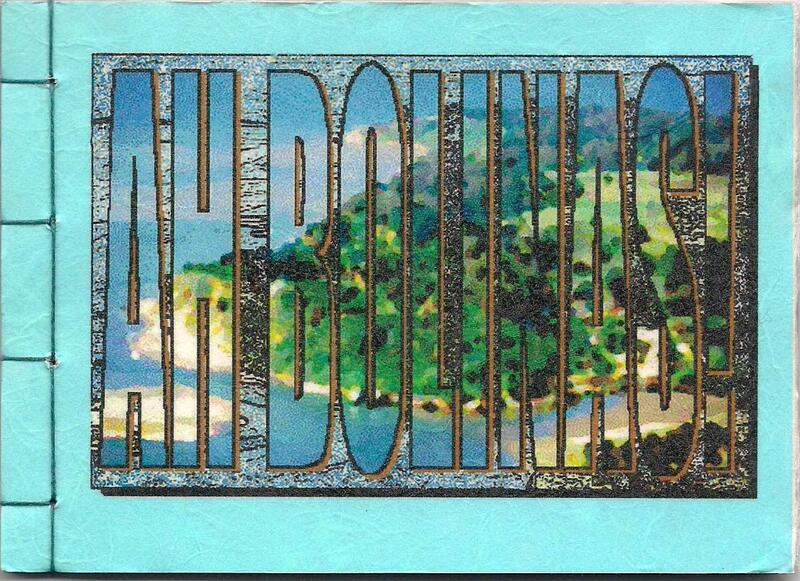 (As of this writing, a few were still available for sale at the 5&10 in Guerneville). His versatility in illustration is not limited to a narrow range of renderings but encompasses the entire array of contemporary comic arts, from South Park and Peanuts to the Simpsons. A word about Michael Fisher’s virtuosity and range of illustrating talents: unique in an artist’s repertoire is the ability to see three dimensions and translate them into a depiction of two dimensions while providing the illusion of a third through modeling, shadowing, and textural crosshatching. Michael is the master of all such techniques and his expert renditions testify to his imagination and illustrative skills. Not unexpected for someone who has spent a lifetime perfecting his gift for illustration. The accomplished depictions mirror a whimsical ruefully aware sensibility scripted in the dialogue bubbles as well as through the illusionist stroke of a drawn line and its suggestive minimalism, as demonstrated by a profound intuition of how the eye sees and distinguishes abstract representation. Even the simplest of his sketches retain the vitality of their representation. His knack for breaking down the visual world to its basic components enables him to present those objects in a variety of ways by re-imagining them as abstract design elements. To the literate of the comic strip genre, the subtleties of a work of illustration lie beneath the message. As such cartoon depictions constitute a visual language. Michael is quite fluent in a variety of the style dialects of this language. The near daily postings on his blog Aldo & Me attest not only to his genius as an illustrator but the seemingly inexhaustible consistency of his output. The sheer creative energy expended can undoubtedly be measured in kilowatts. As compositions the drawings and sketches of an accomplished artist like Michael offer an originality in variation and theme that speaks of a unified aesthetic. His command of the stylistic elements of the genre is truly astonishing. Confident of his proficiency, he once made an offer to friends and fans alike to include any one of them in his blog strip and to depict them as any cartoon character or in any style they desired. For a fee, of course. Not surprisingly, a few jumped at the chance. Presumably that offer is still in effect. 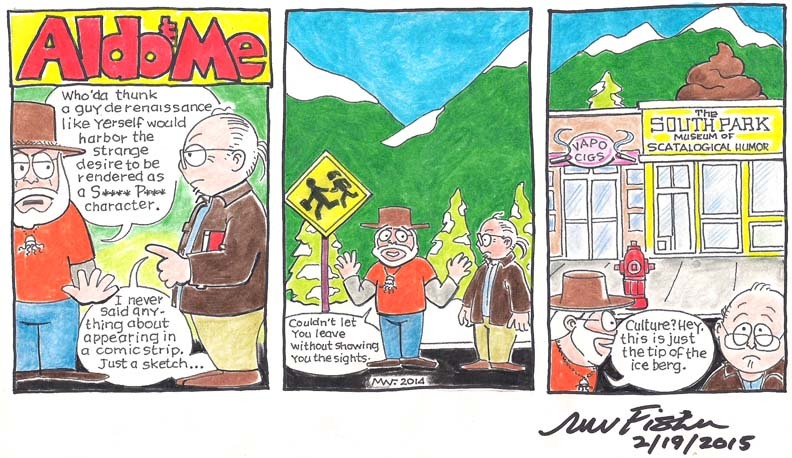 Michael’s talented renditions are available for perusal as a three panel cartoon blog, Aldo & Me, where he has regularly posted his pithy and often wacky interactions and observations on the WordPress platform for the past five years. For the most part the panels are joyful and lighthearted entertainment depicting the dialogue between a man and his dog (maybe that should be dogalogue) as observations and commentary on the vicissitudes of life. On occasion, barbed and pointed sarcasm emerges from the mild mannered strip in the guise of the super illustrator, The Doodler (he of the pencil extension) and his faithful companion, large fanged enforcer Alldog. A humming bird and an extraterrestrial jelly fish also join in the discourse as does a South of the Border feline, Furnando. 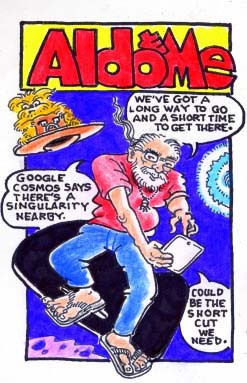 The consciousness behind Aldo & Me exhibits an evolved earth conscious awareness of one of the intelligent of the species as represented by a temperate self-deprecating humor and playfulness whose discerning perceptions always hit their mark whether it is lampooning the pompous or jarring the funny bone. As with earlier (and rare) posters and flyers, Michael Fisher’s Aldo & Me original panels are catching on with the more knowledgeable as must-have collector’s items. It is a sure sign of being au courant to have a few signed Fishers tastefully framed on display throughout the household where a guest or visitor might happen upon them and be delighted by the remarkable talent, not to mention the possessor’s discerning taste. Michael Fisher is a working artist and illustrator. 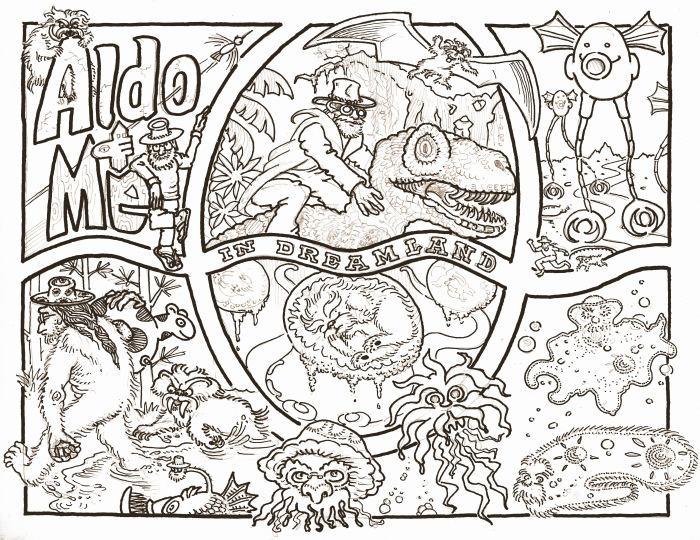 His almost daily exercises in the illustrators art can be viewed at aldome.wordpress.com. Once on site, intrepid internet travelers can click on the Aldo’s Shop & Bark link in the sidebar (on the left hand side just below the header) to sample some of the pencil magic available for purchase, as well as information on how to get in touch with Michael and make one of his fantastic works of art your own. 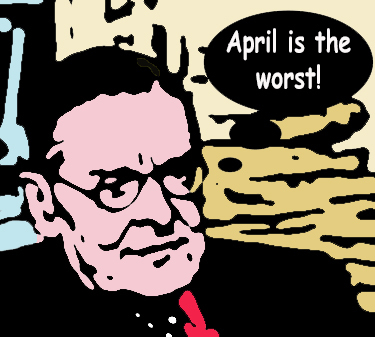 Some poets celebrate April as National Poetry Month, claiming that it brings much needed attention to a marginalized art, while others deride the designation, arguing that it is patronizing and trivializing of an ancient (some might say arcane) way of sentience. 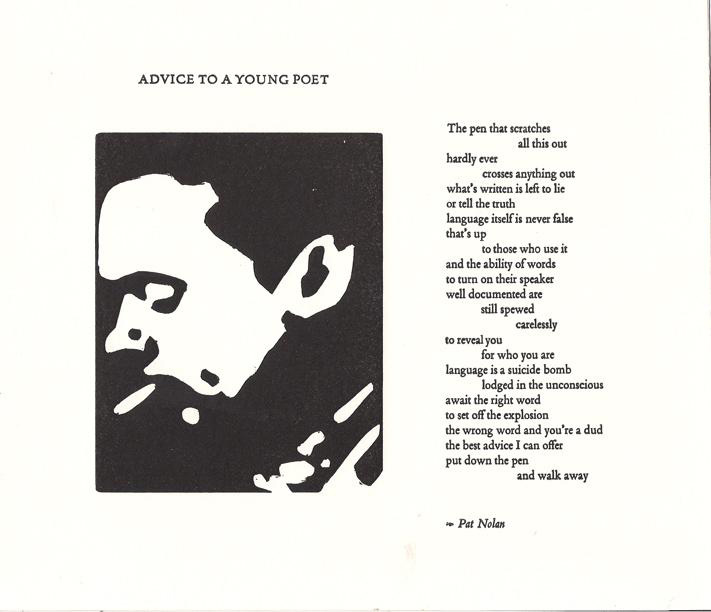 Be that as it may, designating a day, week or month for the celebration of poetry has the intent of focusing attention on a timeless art that many see as underappreciated in the greater world of commercial consumerist media. Any search of ‘poetry’ online will turn up over 300 million hits, many duplicated of course, but all the same a number that is quite close to astronomical. 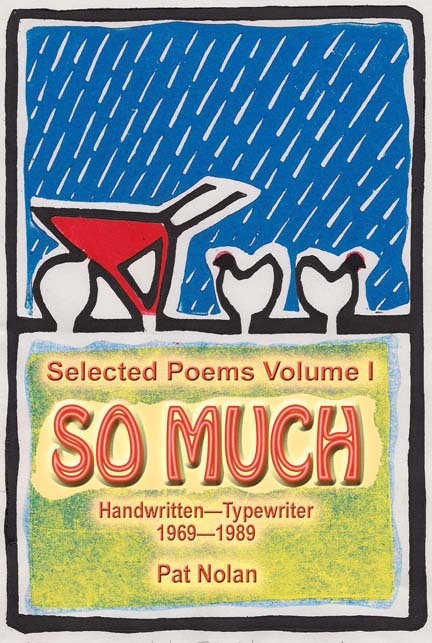 Some literary elitists might argue that such a large number amounts to a lot of bad poetry. They may have a point. However, the intent of poetry is always pure; it is often for a lack of skillful execution that it fails. That doesn’t mean that poetry should be the sole purview of academic busybodies whose only function is to taxonomically classify poetry according to a moldy moth-eaten esthetic. Poetry lives because language is alive, mutable, and like a stream, treacherous or calm, torrential or stagnant, is a source of consciousness available to all. Perhaps the idea behind designating a Poetry Month serves the purpose of reminding everyone that poetry belongs to them, that poetry is free for the speaking, good, bad or indifferent. 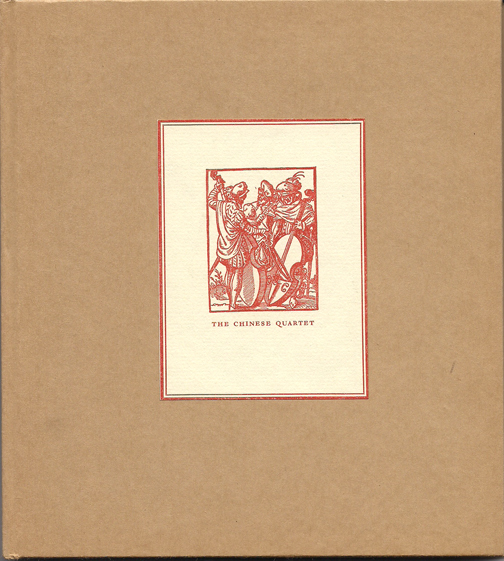 From its inception the Nualláin House, Publishers site has offered free access to the full texts of select out-of-print limited edition poetry titles as downloadable pdf files. 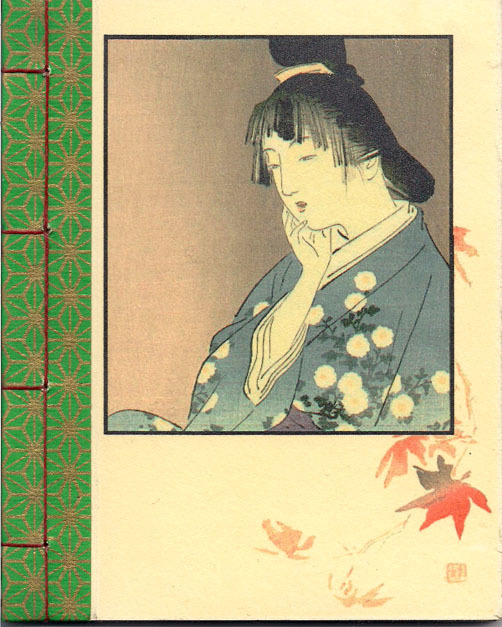 Most of these poetry books were handmade using Japanese papers and bindings in editions of twenty-six to thirty-six signed by the author or authors. 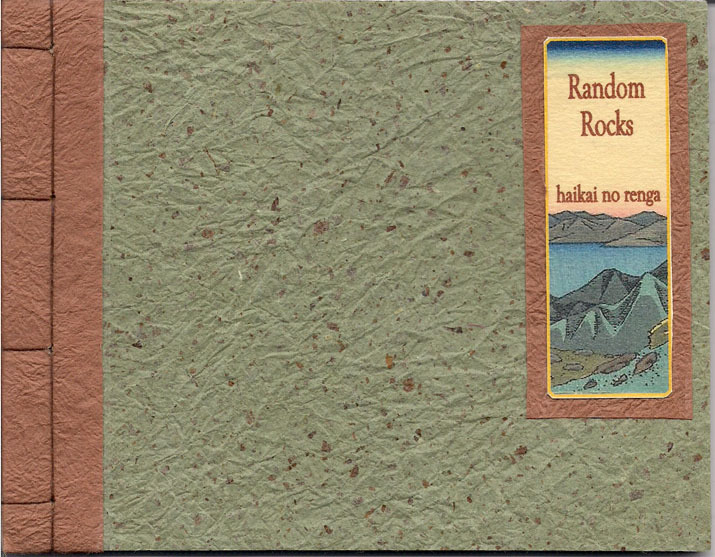 The free titles include Gail King’s Boxes & Chairs, Pat Nolan’s travel journal, Ah Bolinas!, and Random Rocks, a haikai collaboration with Keith Kumasen Abbott, Pat Nolan, Maureen Owen, and Michael Sowl. 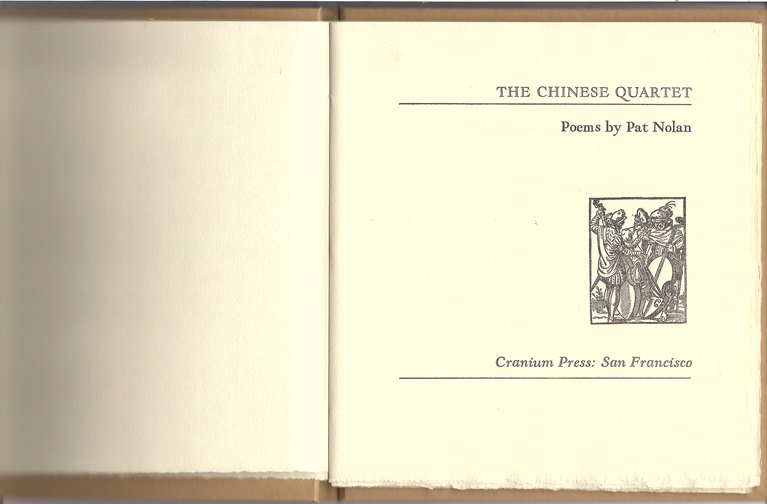 By scrolling down the sidebar, poetry enthusiasts can find any number of limited edition posts featuring full text access to that particular out-of-print title. 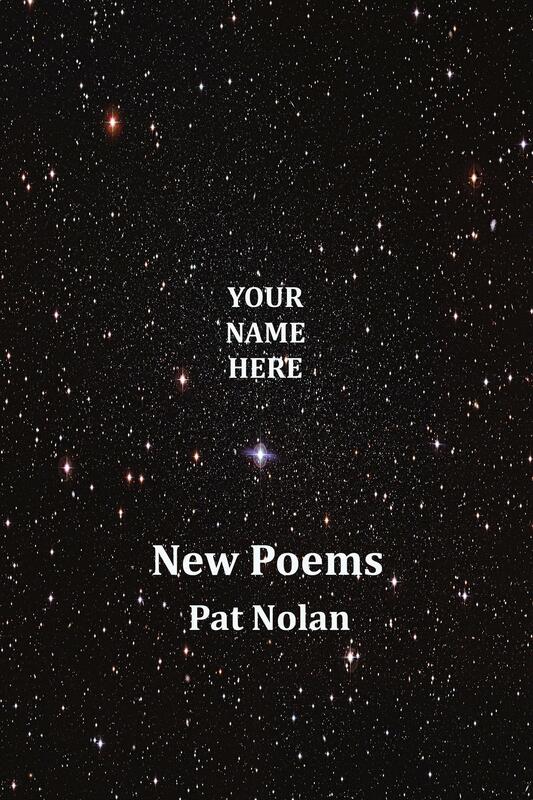 And for all orders placed in the month of April, Nualláin House retail titles, in particular Gail King’s Hello Life and Pat Nolan’s Your Name Here, shipping is free. See How To Order. More interested in reading about poetry? 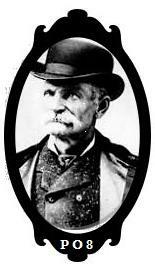 Try Parole, blog of The New Black Bart Poetry Society. 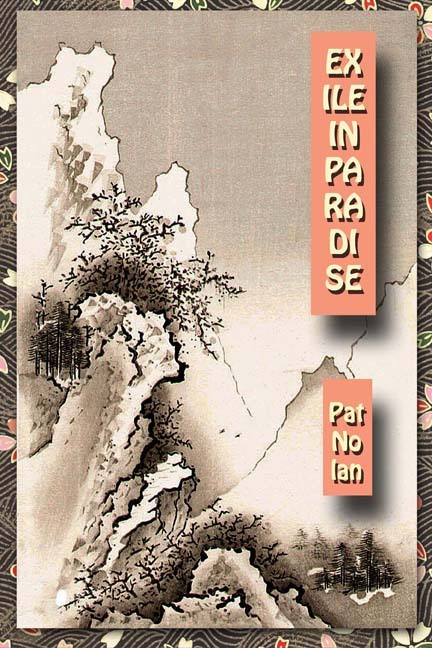 Parole features essays on poetry, poets, and the poetry scene with articles on William Carlos Williams, Andrei Codrescu, Alice Notley, Philip Whalen, Frank O’Hara, and Bob Dylan to name just a few. Access is free. 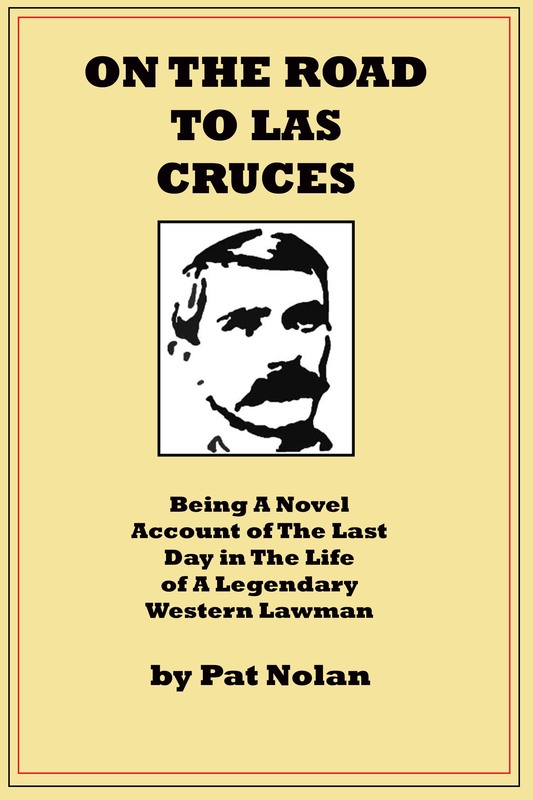 Click here to read Steven Lavoie’s essay on Darrell Grey and the Actualists on the West Coast. Essays not your thing? How about a fictional poetry soap opera? Ode To Sunset, A Year In The Life Of American Genius is a serial fiction about a poet who is not quite Charles Baudelaire, not quite Charles Bukowski, who looks like a well worn Alex Trebeck but with the demeanor of a Mickey Rourke. It mostly takes place in a city not always quite Frisco. 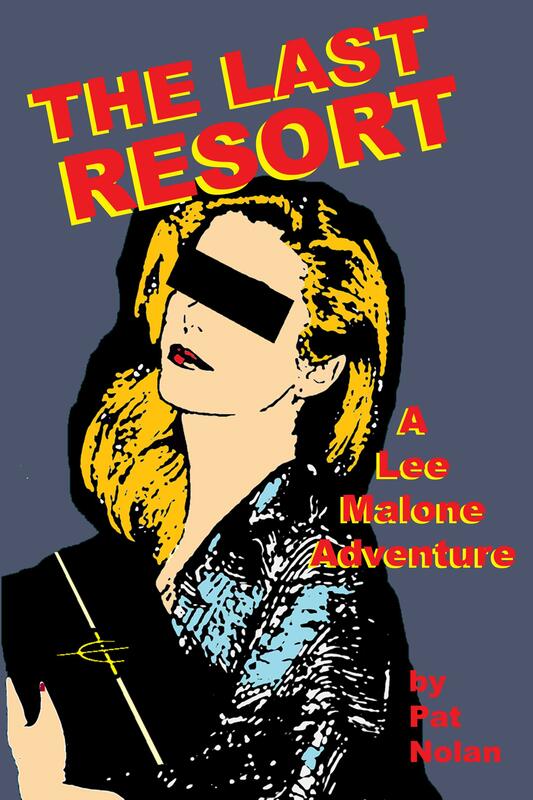 It is satirical, playful, and inevitably deadly serious. 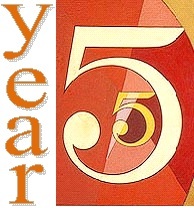 Ode To Sunset has posted installments for six months to word-of-mouth acclaim. The first section, DAY, is available as individual episodes or as The Complete DAY, a pdf file. WEEK is now in progress. For free access go to Ode To Sunset. 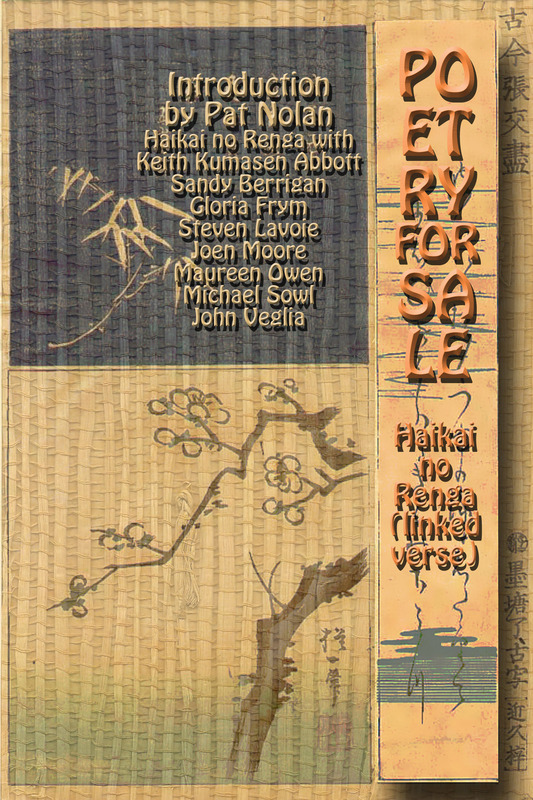 Haikai no Renga is collaborative verse of Japanese provenance written by two or more poets trading stanza of 17 and 14 syllables according to specific rules governing the relationship between stanzas, and with stanzas numbering as many as one hundred. A haikai collaboration is as complex as chess, as multi-dimensional as go, and as fast-paced and entertaining as dominoes. It is as much about the interaction of the poets as it is about what gets written, the forward progress of its improvisation akin to that of a really tight jazz combo. Pre-orders are now being accepted.